Yummy Nummies from Character Options are the latest craze from Japan, where kids get to create mini food treats that taste and look just like the real thing! 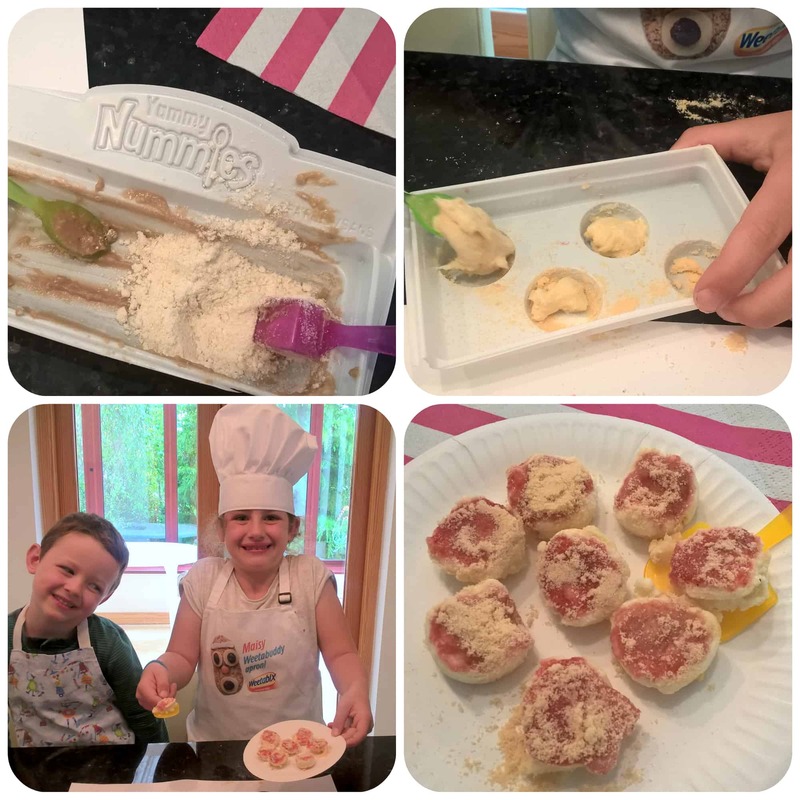 We received the mini Pizza and Cookie sets to try out. Each pack consists of sachets of powder constitute, a plastic mould, and the relevant miniature utensils that are required. All you need to add are scissors to open the sachets and cold water to add to the powders. 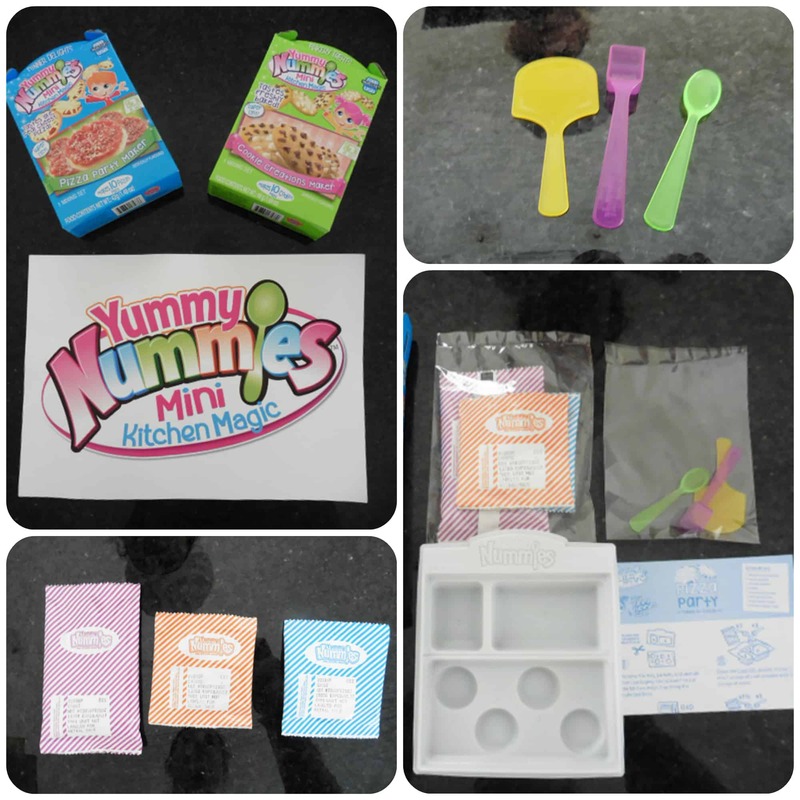 Each kit is simple to put together and just requires the powders to be mixed with water and placed in the appropriate moulds which are then microwaved for anything between 10 and 30 seconds. Various toppings are added to complete the foods made. What is really unusual about this craft is that it is edible, and not only can you eat it, but each part of the food, tastes like it actually should. My children loved creating these and with each pack making up to ten items, meant they could both have a go at creating the miniature foods. Once we’d finished, the children couldn’t wait to try them. 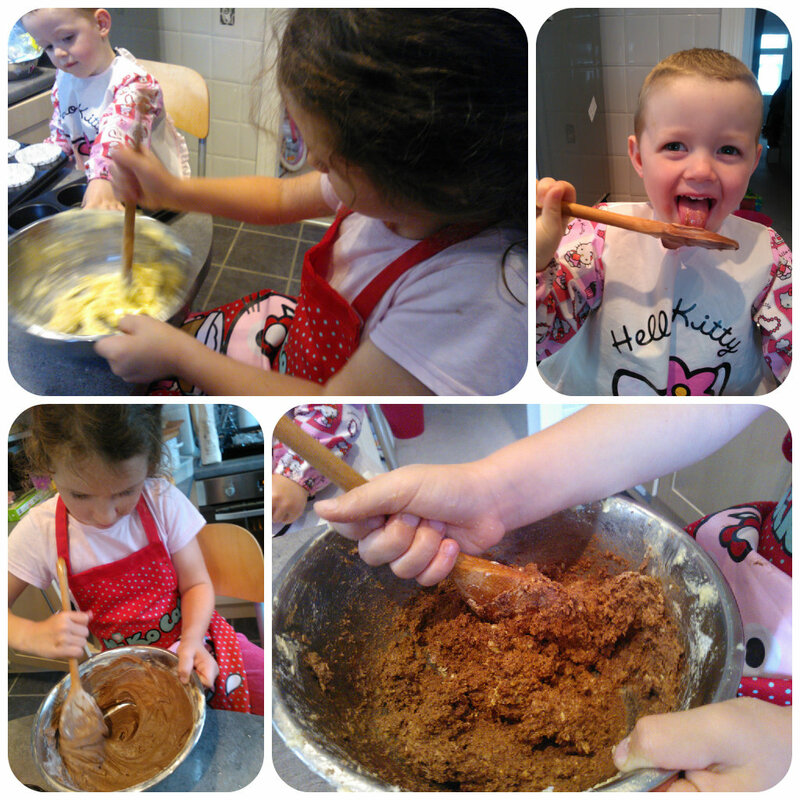 I think their faces in the picture above shows how much they enjoyed them, the cookies in particular were their favourite. 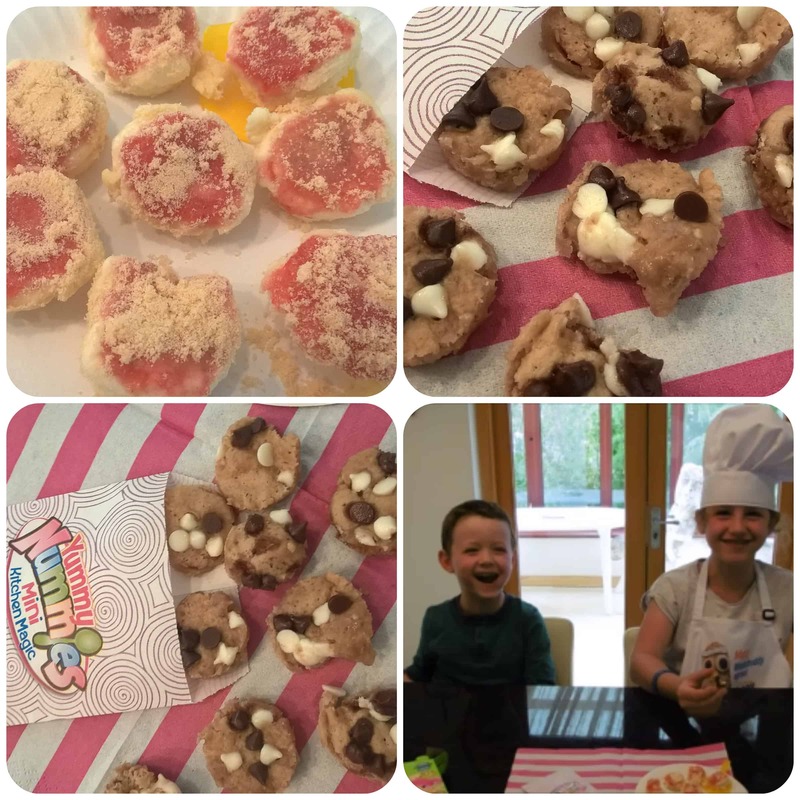 I did taste them myself and although they are edible, they are just a bit of fun and a craft that the children enjoyed. 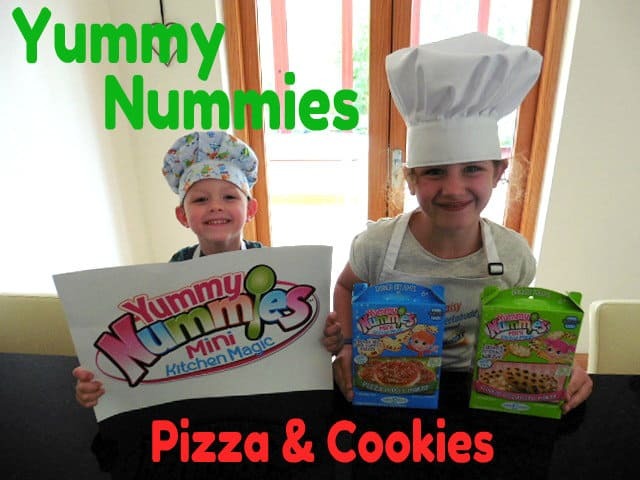 Yummy Nummies are sure to be the latest craze to hit the UK and I’m sure children will be keen to have a go too when they see it advertised. There are lots of different things to make such as chicken nuggets, cupcakes, doughnuts and even chocolate bars. Why not check them out, available from Toys R Us as well as other retailers. 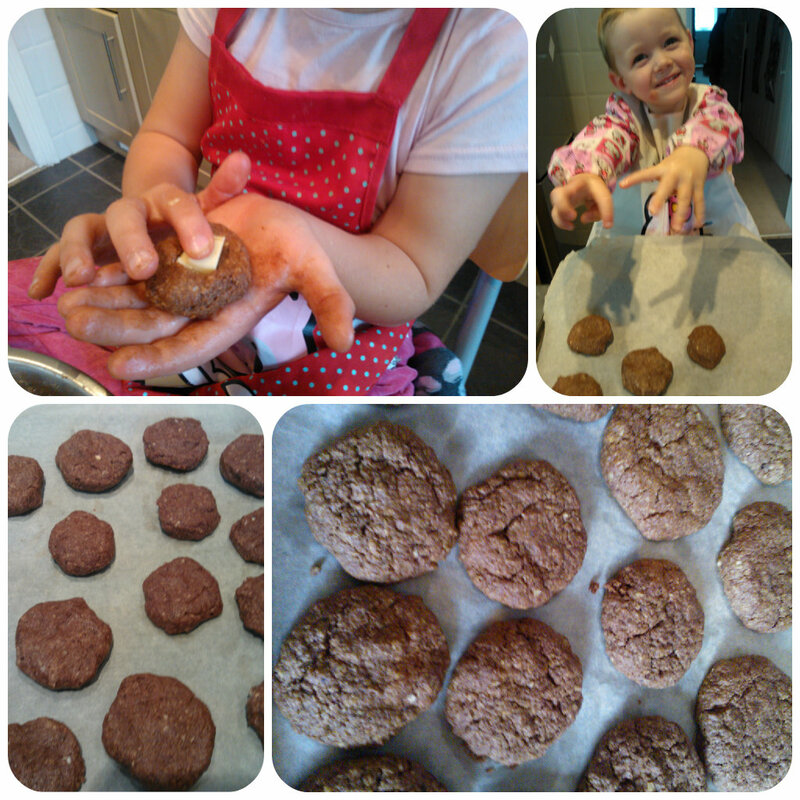 We love baking and I remember many years ago making Secret Cookies with Ready Brek. I knew my children would love these so thought we’d give them a go as something to occupy Miss M during the summer on a rainy day. Mister B wanted to assist too and insisted on wearing Miss M’s Hello Kitty apron rather than his own – but whatever makes him happy! 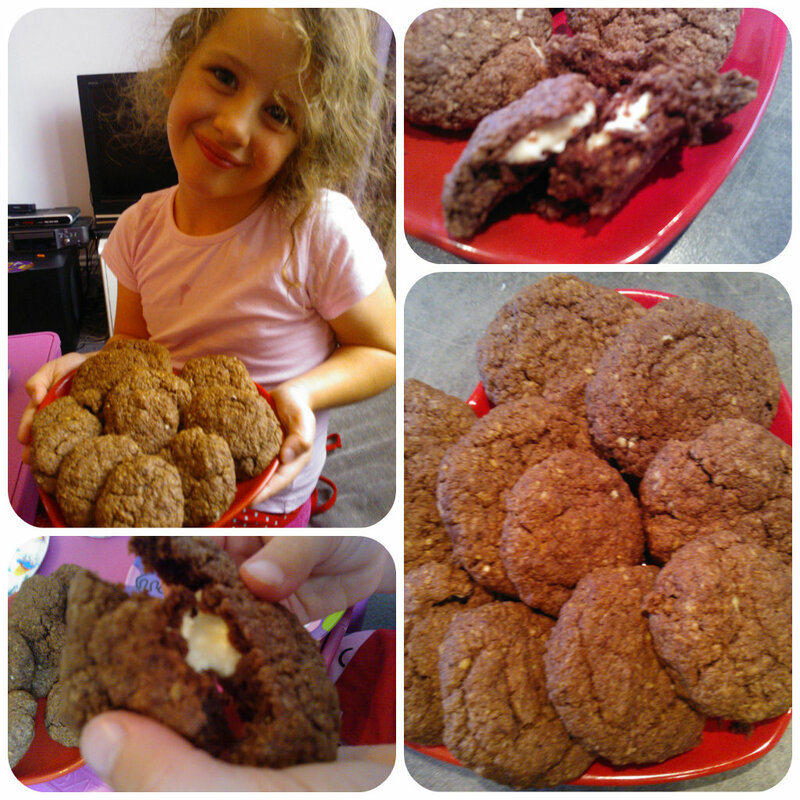 Miss M carefully followed my instructions to mix the ingredients herself and was very excited by the ‘secret’ part of the cookie. A hidden square of white chocolate pushed into the centre of each cookie before it is baked. The best way to eat these cookies is when they are still warm, so take them out the oven, let them cool slightly then take a bite and you’ll find the white chocolate square in the center is all gooey! These are deliciously yummy, I have to say our plateful of cookies didn’t last long although we did manage to save a few until the next day. They are almost as delicious cold as well, although if you pop them in the microwave for a few seconds it gently warms them up and they taste just like they’ve come out the oven again. Why don’t you have a go at making these, lots of fun for children whatever the weather?